When would I need to create a new Staff Profile? How do I link the Staff Profile to a User ID? This article is meant to assist you with adding a Staff Profile. When a new employee’s role includes working with cases, this employee will require a Staff Profile. 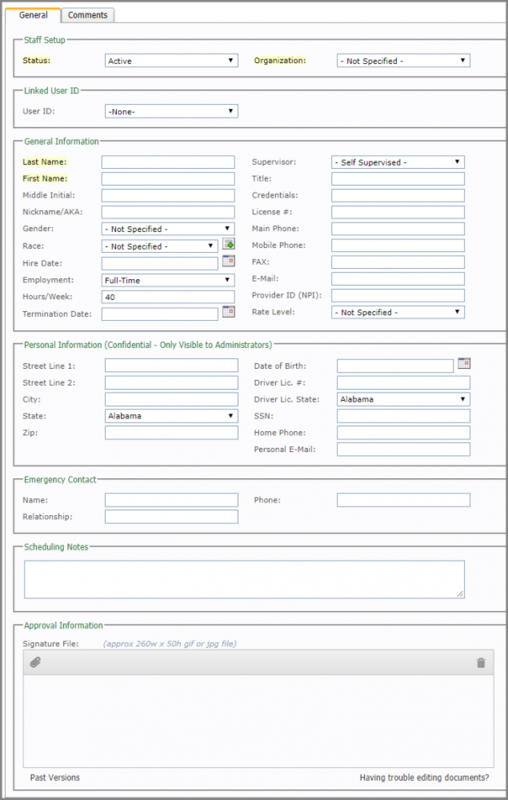 A Staff Profile is essentially a professional record that collects information such as: signature, credentials, phone numbers, hire date, and other information. 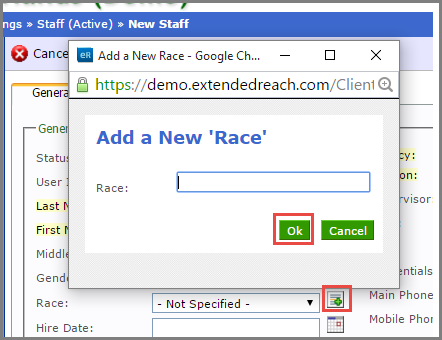 This is the 2nd step for adding a new hire to the extendedReach system, following creating a User ID for the employee. For assistance in Adding a User ID, please see Related Topics. You must be an Agency Administrator to access “Administration” on the left side of your Workspace. 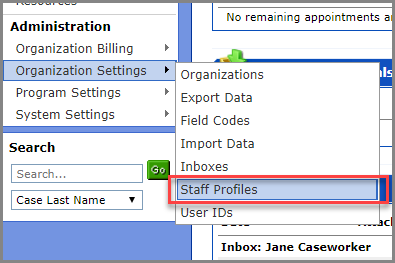 Go to “Organization Settings” and click on “Staff Profiles”. Within Staff, click on “Add Staff”. Within the General screen, complete the fields. Required fields are highlighted, while optional fields are not. 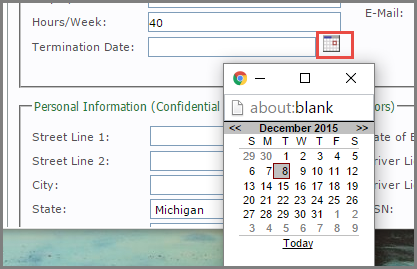 Include any scheduling notes for the staff member in the provided box. For instructions on Adding a Staff Signature, see Related Topics.